In the social sciences and in everyday speech we often talk about groups as if they behaved in the same way as individuals, thinking and acting as a singular being. We say for example that "Google intends to develop an automated car", "the U.S. Government believes that Syria has used chemical weapons on its people", or that "the NRA wants to protect the rights of gun owners". We also often ascribe legal and moral responsibility to groups. But could groups literally intend things? Is there such a thing as a collective mind? If so, should groups be held morally responsible? Such questions are of vital importance to our understanding of the social world. In this lively, engaging introduction Deborah Tollefsen offers a careful survey of contemporary philosophers? answers to these questions, and argues for the unorthodox view that certain groups should, indeed, be treated as agents and deserve to be held morally accountable. 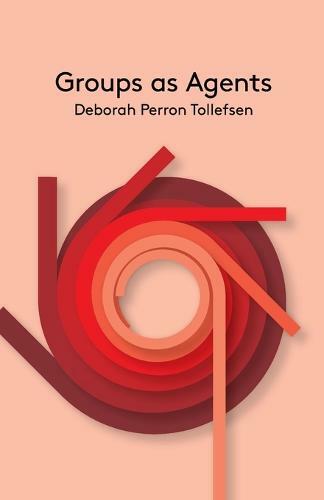 Tollefsen explores the nature of belief, action and intention, and shows the reader how a belief in group agency can be reconciled with our understanding of individual agency and accountability. Groups as Agents will be a vital resource for scholars as well as for students of philosophy and the social sciences encountering the topic for the first time.